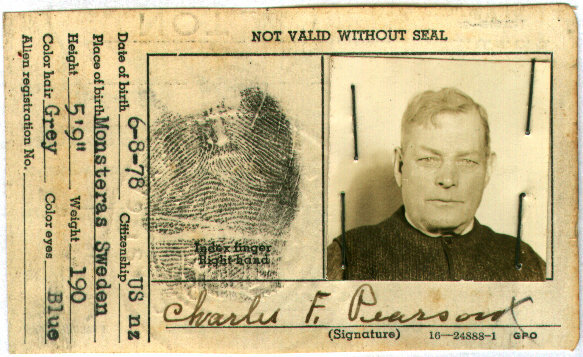 "Miscellaneous Record - Charles Fabian Pearson"
Issued in: Port of New York, New York City, New York. 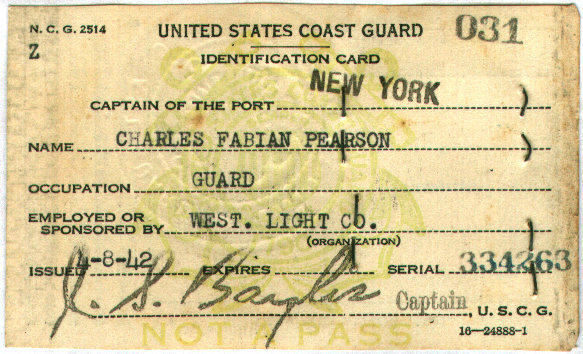 Additional Information: The below United States Coast Guard Identification Card was issued during World War II. Note: All submissions to the miscellaneous records directory must somehow be related to a family and/or individual currently listed within this site.